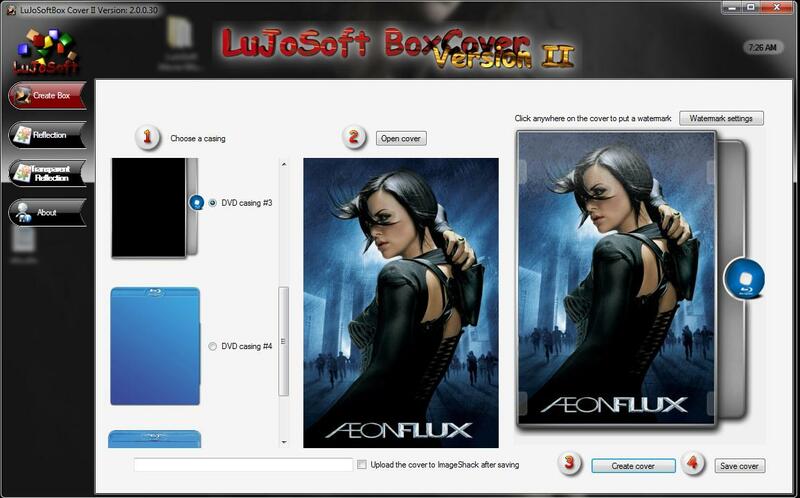 LuJoSoft BoxCover II is the second version of the serie to frame any covers from movies, to make it appear as it was in a DVD case. New tools are included in this new version, the ability to create table reflection with or without background color. Choice to automatically upload to ImageShack. 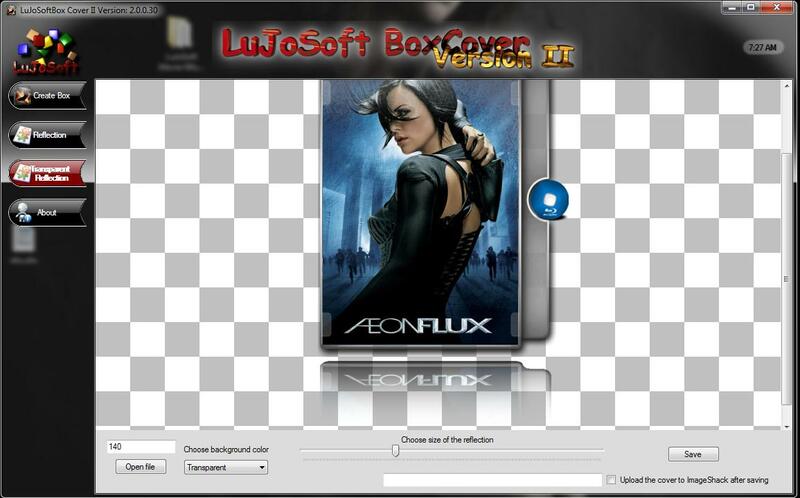 It will resize the cover image to the right size to fit the box. Easy to use, the full process in 4 clicks. Click the " Open cover " button to choose a cover. 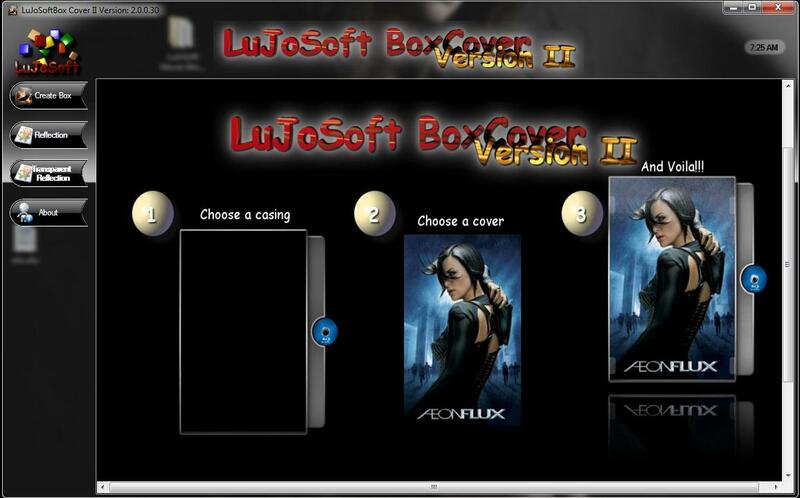 Click the " Create cover " button. Click the " Save cover " button. In this page you can create the table reflection effect you want by using the scroller control at the bottom of the application, you can also choose the color of the background you want to save to. Note that you can also automatically upload to ImageShack while saving. Working with this page will do exactly the same as the one above but with the exception that it won't save the background "background wil be transparent png format".